For many consumers, a typical work day can involve several meetings that keep them moving all day long. But is the time in between those appointments being wasted? Researchers from Ohio State University say that may be the case. In a recent analysis of several studies, they found that most people do not make full use of free time leading up to a bigger task. As a result, they say that many people feel that this transition period feels shorter and not as revitalizing. The researchers’ conclusions are drawn from several different studies that gauged how much time people thought they needed to prepare for a given task. In one case, participants were asked to take part in either a 30-minute or 45-minute study before an appointment that was an hour away. Those who selected 30-minute period were paid a compensatory fee of $2.50, while those who chose the 45-minute period were paid $5.00. Despite the 15-30 minute buffer period, the researchers say that the participants were far more likely to choose the 30-minute study period to give themselves extra wiggle room before their other appointment. “It was clear they would have plenty of time to finish and have extra time before their next appointment, but they still were more likely to choose the 30-minute study – even when they had clear financial incentive to choose the longer study,” said Malkoc. In another study involving college students, the researchers found that participants also tended to accomplish more when they didn’t have another task to worry about. During the experiment, a researcher told two different groups of students one of the following: (1) that they had a task coming up soon and had about five minutes before they could get started; or (2) that they simply had five minutes of free time to do what they wanted. The results showed that the second group tended to complete more tasks during their five-minute period (such as sending a text message, responding to an email, or visiting a social media site) than members in the first group. “You don’t feel like you can get as much done when you have a task coming up soon. The time seems shorter,” said Malkoc. 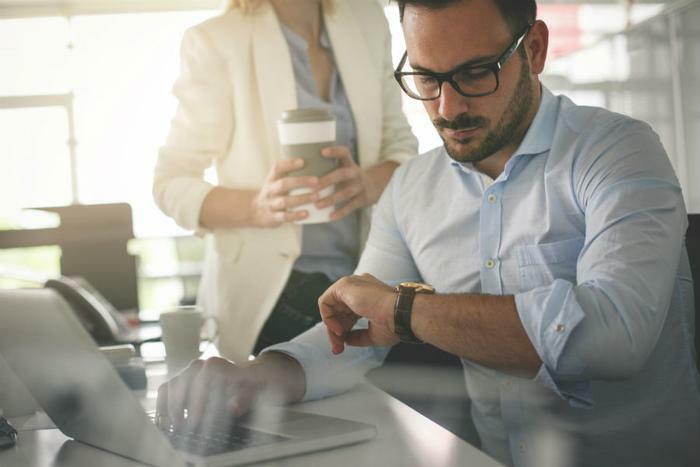 The researchers say their findings could provide insights for companies on how to schedule work days to get the most out of their employees. Malkoc suggests that managers and senior staff stack meetings together to give workers longer, uninterrupted times when they may feel more motivated to tackle bigger projects. Additionally, she says that it’s important for companies to recognize how much time during the work day employees have to accomplish tasks and adjust accordingly. The full study has been published in the Journal of Consumer Research.